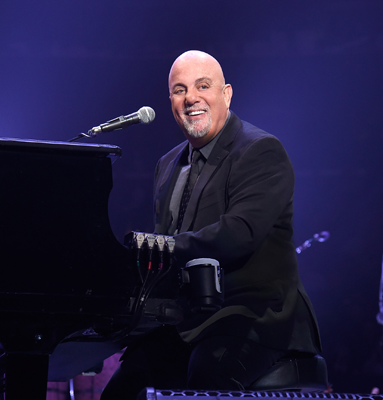 A capacity crowd is expected for Billy Joel in concert on Saturday, October 13 at BB&T Field at Wake Forest University. Wake Forest University Athletic Department and Greensboro Coliseum Complex staff have coordinated traffic efforts with North Carolina Department of Transportation (NCDOT), Winston-Salem Department of Transportation (WSDOT) and the Winston-Salem Police Department to manage traffic leading into BB&T Field and surrounding parking lots by adding messaging along Interstate 40, U.S. Highway 52 and U.S. Highway 421 into Winston-Salem. Patrons are urged to arrive early to avoid delays. Parking lots will open at 3 p.m. Official public parking lots are $20 per spot (cash only). Please see the official event parking map as well as detailed event information. Reduced rate parking is available at the Winston-Salem First Shuttle Lot off University Parkway and Long Road for $10 per spot. There will be complimentary shuttle service to and from the stadium that will pick up at the corner of Polo Road and Long Road and drop off at BB&T Field outside of Gate 4. After the event, the shuttle will pick up outside of Gate 4 to return guests back to their vehicles. The shuttle will run from 3 p.m. until 12:30 a.m. (Sunday). Parking and traffic updates will be posted on the LJVM Coliseum Twitter account, @LJVMColiseum. Click here for directions to the shuttle lot. Local traffic be advised, heavy traffic is expected surrounding BB&T Field cross streets from 2 p.m. until approximately 1 a.m. Sunday morning. Guests are encouraged to use the suggested routes for concert traffic by selecting the appropriate hyperlink(s) below. The routes are based on geographic locations from the surrounding areas with mobile friendly directions. Gates for the Billy Joel concert are scheduled to open at 6 p.m., and the show is scheduled to start at 8 p.m. Tickets are still available at Ticketmaster. Please visit LJVM.com and follow us on social media @LJVMColiseum for event news and updates.